Spoke hole drilling This is a required option. Centered drilling is the most popular. Is it possible to get fatter and lose weight at the same time? Thanks to a lightweight carbon profile, the 80mm internal 26er rim save a pound of rotational weight compared to most alloy wheelsets, all while adding lateral stiffness. The 80mm inner width runs a standard 4.3” tire up to a full size 5.0”, making it perfect for all-conditions of fatbike riding. It’s wide enough to tackle deep snow and sand, but still nimble enough on a tight single track. Tubeless: Tubeless (no tube) system performs perfectly at super low pressure. The rim mold is modified with better tubeless tyre setup , this design not only reinforces sidewall, also provides superior tire seal, especially for tubeless tires. Tubeless makes your fat bikes much lighter. 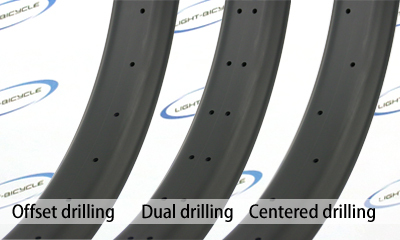 Double-wall: Double-wall construction makes fat bike rim with better stiffness and ride handling. Ultra low profile: it makes fat rims light-weight and fast-rolling. 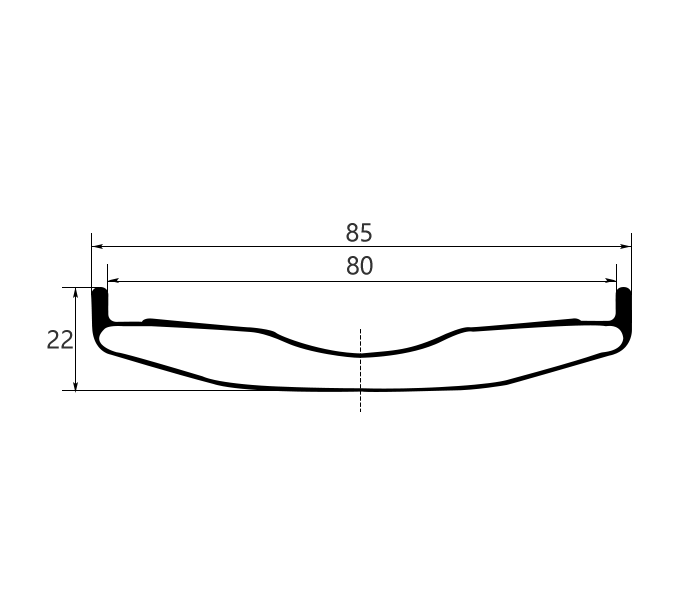 The super-flat design provides better pinch flat protection. Fast tire installtion: deeper tire bead channel provides easy tire mounting & dismounting for fat bike wheels.